Gary Orfield is Distinguished Research Professor of Education, Law, Political Science and Urban Planning and Co-Director of The Civil Rights Project. Dr. Orfield's research interests are in the study of civil rights, education policy, urban policy, and minority opportunity. He was co-founder and director of the Harvard Civil Rights Project, and now serves as co-director of the Civil Rights Project/Proyecto Derechos Civiles at UCLA. His central interest has been the development and implementation of social policy, with a central focus on the impact of policy on equal opportunity for success in American society. Recent works include eight co-authored or co-edited books since 2004 and numerous articles and reports. His "A Life in Civil Rights," appeared in the October 2010 issue of PS: Political Science & Politics. Recent books co-edited or co-authored with E. Frankenberg include, The Resegregation of Suburban Schools: A Hidden Crisis in American Education (2013) and Educational Delusions? Why Choice Can Deepen Inequality and How to Make Schools Fair (2013), as well as Twenty-First Century Color Lines (2008) with Andrew Grant-Thomas. He is currently working on studies of the impacts of the major civil rights and educational policies of the l960s. In addition to his scholarly work, Orfield has been involved in the development of governmental policy and has served as an expert witness or special master in several dozen court cases related to his research, including the University of Michigan Supreme Court case which upheld the policy of affirmative action in 2003 and has been called to give testimony in civil rights suits by the United States Department of Justice and many civil rights, legal services, and educational organizations. 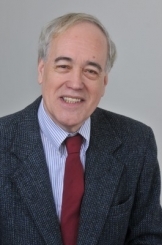 He was awarded the American Political Science Association's Charles Merriam Award for his "contribution to the art of government through the application of social science research." He has been awarded the 2007 Social Justice in Education Award by the American Educational Research Association for "work which has had a profound impact on demonstrating the critical role of education research in supporting social justice." He is a member of the National Academy of Education. A native Minnesotan, Orfield received his Ph.D. from the University of Chicago and travels extensively in Latin America.